This entry was posted in Australia Australia Visit Visa and tagged apply visitor visa for Australia Australia PR Australia Tourist Visa Australia Visitor Visa Australia visitor visa subclass 600 visit Australia on November 3, 2014 by Blog Author. 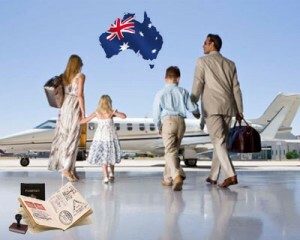 Want to migrate to Australia on holiday or business trip? Wishing to have vacation in exciting and diverse tourist destinations like Australia? Planning to visit Australia temporarily? Then, you need to have a valid short entry permit like Australian Visitor Visa if you are not an Australian or a holder of Australia PR. Australia entices number of visitors every year. It is a country with pristine beaches, thrilling voyage destinations, stunning natural landscapes and exotic food. To visit this lovely continent you need to have Australian Tourist Visa. Wondering on how to acquire Visitor Visa for Australia? Well, we will aid you with the guidelines. Immigrants can apply for Australian Visitor Visa only if he/she wishes to visit Australia for tourism, sightseeing, to meet relatives or friends or for any other short term studies. The simple question that buzzes in your mind is how to apply for a visa to visit Australia. If you are visiting Australia for sightseeing, business visitor activities or for tourism, then you are recommended to apply for Australian visitor visa subclass 600 that is valid for a period of three months which is not extendable. Evaluation of Australia visitor visa will be done only after completion of filling of application of visit visa Australia. Following are the basic requirements to be met by the individuals to apply visitor visa for Australia from India or from any other countries. If you want to follow more information about immigration and visas, follow MoreVisas at Facebook, Google+ and LinkedIn.